Branson's packed 76 strip was bittersweet for locals as tourists flocked to "the live music capital of the world." But for many tourists showtime at theaters were an afterthought. Al Roker cruised the Branson Landing between eating pie at the Branson Convention Center where he along with psuedo-celebrities tasted sweet baked wares. Chateau on the Lake hosted a wine festival and the weather was cooperative for Springfield residents seeking a short weekend getaway. Democratic politicians were seen strolling the Branson Landing as Jackson Days ensued. Larry Milton's sponsorship of a ceremony for Purple Heart recipients drew a crowd as well with not too many onlookers leaving when his business partner Raeanne Presley took the stage. 2008 sported record income for Branson and though local media outlets failed in coverage of this spectacular happenstance 2009 looks like it's going to be a prosperous year. Recessions don't have the same effect on Branson's tourism numbers as other parts of the country and for good reason. Hotels in Branson range from 26 dollars a night to 200. It's cheaper to stay in Branson than any roadside motel along the way. The value proposition of a vacation to Branson can entertain even the most deficit of budgets. 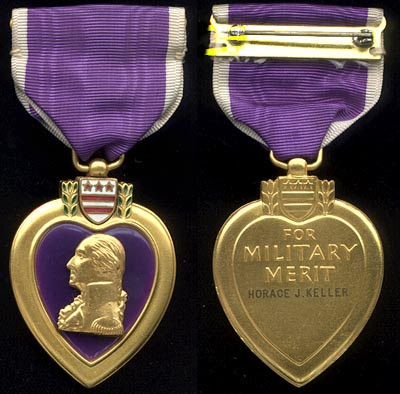 Branson will honor our Nation's Purple Heart recipients with a "Purple Mountain Majesty Twilight Ceremony" beggining at 6 P.M. Saturday at the Branson Landing fountains. Sergeant Major Tony rose, a retired 9-11 Pentagon survivor and Purple Heart recipient will speak along with performances by Barbara Fairchild and SIX. 10 AM Al Roker will reappear Sat, April 25th for a book signing and question and answer session. Al Roker will be broadcasting live at the Branson Landing live from 6:00 to 9:00 at the Branson Landing Town Square Fountain. At noon the Branson Landing will host an Arbor Day Celebration. Yakov Smirnoff will serve as the MC with a special performance by John and Ambrus Presley and the music group SIX. This will be John and Ambrus Presley's first performance at the Branson Landing. The objective of reforesting trees will be met with the passing out of 200 Red Twig Dogwood seedlings and 500 Holly Bushes donated by Empire Electric. After the live broadcast the American Pie Show will ensue across the street at the Branson Convention Center. Local celebrities will join the battle to become the pic champion. 11am The Branson Divas will reveal the ingredients in McFarlain's Traffic Jam Pie. After the presentations judging will begin and will be broadcast on NBC. Groups from around the nation are gathering today for TEA (Taxed Enough Already) "Parties". Did the bailouts make you rich? Did you get a big bonus from Fannie Mae,Freddie Mac, AIG, the Postal Service, the federal government, or othergovernment agency or company bailed out by our tax dollars? No? Not meeither. Are you tired of politicians using your tax money to bail out and enrichtheir friends, supporters and themselves? Are you tired of bailing outirresponsible people while you tighten your belt and work harder to supportyourselves and your families? Are you tired of seeing politicians createdebt that will make our children, their children, and future generationspoorer? Me too! Express your dissatisfaction by joining us at Branson's Tax Day Tea Party onWednesday, April 15th!! Create a sign or just show up to tell our officialsthat "ENOUGH IS ENOUGH!" Stop the spending! Stop buying votes with debt thatfuture generations will have to pay for! We are taxed enough. The problem is government spending, not income. Expressyour dissatisfaction with government spending. Start by joining millions ofAmericans who will express their dissatisfaction at a Tax Day Tea Party onApril 15. I hope to see you there. The Branson Chamber of Commerce conducted a study this year of what tourists do when visitors come to Branson. The study revealed more tourists are shopping than attending shows. 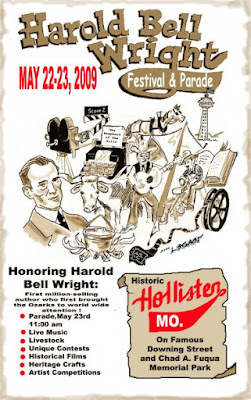 The festival and parade honoring author Harold Bell Wright has been moved to Hollister and is slated for May 22-23. The most expensive items on the Tuesday ballot in Taney County is the proposal to fund the East/West Corridor between Kirbyville and Hollister, and the Hollister School District's initiative to fund an early childhood center. Proposition A is a question to create a quarter-cent sales tax to pay for the East/West Corridor Road. If approved, the sales tax would expire at the end of 2022. Hollister's bond election is a question of incurring indebtedness and issuing general obligation bonds in the amount of 6-point-5 million to construct an early childhood center including pre-K through first grade classrooms and daycare facilities. If approved, the debt service levy of the school district would actually decrease from 81-cents to 76-cents per one hundred dollars assessed valuation. In Stone County, the Reeds Spring School District is proposing a 5-point-8 million dollar bond issue to construct additional classrooms and a multi-purpose facility at the high school, make repairs and renovations to the middle school, purchase property currently leased to the school district, and purchase additional school buses. If approved, the school's debt service levy would remain unchanged at 76-cents. School board elections in Taney County include several contested races. Two Branson School Board members will be elected from a field of four that consists of Eric Alms, Peter Marcellus, Wendy Davison and Scott Winslow. Likewise, Forsyth School District voters will select two candidates from a list of four that includes Jack Johnston, C. Jack Baker, Tom Nowacki and Christina Schanda. Forsyth voters also will be asked to choose between Alissha Woody and Joe Allen to serve a one-year term on the school board. The Bradleyville School Board candidates are Randall Cummings, Darla Day and Jackie Adams. Two will be elected to serve three-year terms. Taneyville candidates include Austin Sutton, Steve Firestine and Matthew Smith. Only two of these candidates will be elected to the school board. Hollister School District voters will elect two board members from a field of three candidates that includes Dan Crisp, Rose Shook and Carl Bonnell. Spokane School District voters will be asked to choose two out of the three candidates for school board, These include Sharon Bishop, Shane Brown and John Armitage. Every school board election in Stone County on Tuesday is a contested race. In each school district, voters will be asked to select two candidates to serve three-year terms on the school board. Reeds Spring candidates include Richard Porter, Steve Morey and Karla Bauer. The Galena School Board candidates are Angela Stewart-Foster, Steve Miller and Ben Sorrell. For the Blue Eye School District, candidates include Tim Reagan, Joe Watson, Brian Mitchell, Jimmy Kiser and Lisa Blevins. Shell Knob candidates are Susan Beck, Lisa Fielder and Bob Stewart. Crane School District voters will decide between Bruce Steele, Andy McCullough and Dennis Ford. School board candidates for Clever School District are Justin Peebles, Christopher Garrett, Shawn Akins. Hurley School Board candidates include Mary Flood, Regina Clark Elkins and Stacy Whittington. Taney County voters will decide a number of contested municipal elections, but not in the cities of Branson and Hollister. Running unopposed are Branson Mayor Raeanne Presley, Ward One Alderman Bob Simmons, Ward Two Alderwoman Sandra Williams and Ward Three Alderman Stephen Marshall. Scott McCaulley is running unopposed for Hollister Ward One Alderman; likewise for Ward Two Alderman, David Willard, and for Municipal Judge, Randy Anglen. The city of Forsyth has two contested aldermen races. Running in Ward One are Joe Allen and Ronald Potter. In Ward Two, Michael Chipman and Larry Hertel. Rockaway Beach Mayor Larry Cline is seeking reelection, but faces opposition from Sue Riggs and Rick Reding. Fred Cravens is running unopposed for Ward Two alderman, but the race for Ward One alderman will be decided between Stuart Driewer, Judy Daniel and Robert Amos. Seven residents of the Village of Merriam Woods have signed up for three available seats on the board of trustees. Candidates include Jack Reese, Greg Buresh, Francis Diggins, Robert Parker, David Winne, Michael Wilkerson and David Pendleton. Aaron Rogers and Barbara Wehrman will be elected to the Village of Kirbyville Board of Trustees. Kirbyville also has a ballot iniative to increase the village sales tax from one-half percent to one percent for the purpose of operating, staffing and maintaining the village. For the Village of Bull Creek, Mary Mink and Jody LeMaster are running for the two available seats on the board of trustees. Three folks have signed up for three seats available on the Bradleyville Village Board of Trustees... John Combs, John Cook and Brandon Burkhart will fill these vacancies. And two elections for Public Water Supply District No. 1... In sub district number two, voters will choose either Rick Davidson and Todd Brown to serve as director, and in sub district number five, the race is between Thomas Nowacki, Benjamin Waldbuser and Keith David. Contested municipal elections in Stone County include the Village of Indian Point Board of Trustees where two candidates will be elected from a field of four. Candidates include David Canaday, James Daily, Brett Stump and William Turner. The village also has a ballot proposal to establish a half-cent sales tax to provide revenue for transportation purposes. Voters will choose between John Battistoni and Mack Lawson to serve on the board of directors for Southern Stone County Fire Protection District. North Stone Northeast Barry County Fire Protection District voters will elect two directors from the four candidates on the ballot. These include Leon Cunningham, Jerry Brown, Carl Moore and John Mackey. Minnie Hazzard is running unopposed for Ward One Aldermen in Kimberling City. Ray Sims is running unopposed for the one-year term of Ward Two aldermen, while three candidates have filed for the two-year term of Kimberling City Ward Two Alderman... Jerry Sullivan, Albert Bray and Pancho Pancheff. Rhona Phipps is running unopposed for Ward Two Alderman in the city of Reeds Spring. Branson West voters will have the opportunity to vote on a natural gas franchise for the city. Nita Jane Ayres is opposing Mayor John Rhodes in his bid for reelection, and Alderman Bruce Jenkins has a ballot opponent who filed under the name "Shazer." In a few months the Branson Chamber of Commerce marketing contract will come up for review which has Larry Milton and paid attack dog Gary "Little Milton" Groman foaming at the mouth and in the newspaper. Branson.com, a direct sales firm, fraudulently bills itself as Branson's Official Website, a claim not only without merit but a title the Branson Chamber of Commerce is trying to take back. As has been abundantly clear through Branson's new board of alderman , committee's can be designed to launder public resources and money to support personal financial interests and when it comes to benefiting from taxes allocated to Internet marketing, no company has reaped more direct financial benefit than Milton's privately owned time-share lead generation firms Branson Tourism Center and Branson.com. 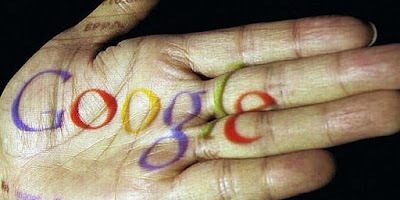 The highly successful Search Engine Optimization (SEO) campaign the Branson Chamber has been executing through the help of their media buying firm Camelot promises to increase the tension. The Branson Chambers SEO campaign has increased web traffic by leaps and bounds but primarily competes with Branson.com's role as a direct sales outlet. When an Internet user searches for hotels, restaurants or general information about Branson they're already a qualified buyer. By no stretch of the imagination can this be considered a marketing mission. While the Branson Chamber of Commerce has dramatically increased traffic through SEO, Milton has responded through acquisitions which include increasing presence and an ongoing financial relationship with the Groman clan. After purchasing domains from Groman, the continuing relationship allows Milton to control the editorial content Groman publishes. Camelot's long term strategy is to increase Explore Branson's ranking with presence on more general travel related Search Engine Result Pages (SERP) and to populate the Internet with content that can directly benefit Branson businesses through direct traffic. In fact, during a presentation in Hollister today, representatives from the Branson Chamber cited traffic driven to individual Branson websites as a marker of their success.